My thanks to the Principal of Greyville Primary, Dr Mark Jacobs, who allowed me to photograph the school and some of the admission registers. 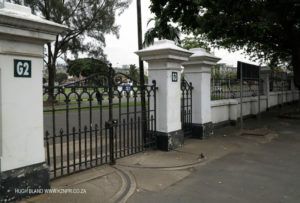 The school dates back to the 1920’s when it was known as Windermere Girls school, Mitchell Girls, Bechet College, Umlazi Commercial Clollege and finally in 2000 becoming Greyville Primary. 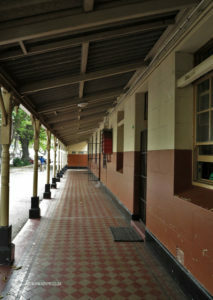 The architecture is simple but elegant making use of wide verandas between classrooms. As with most state schools there is a infrastructural neglect and lack of maintenance. This is sad given the enthusiasm of the principal. 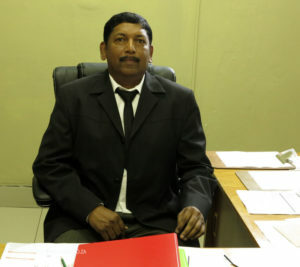 Greyville Primary – connecting verandas. 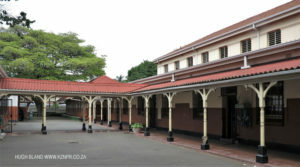 Greyville Primary – verandas give shelter from rain and heat. 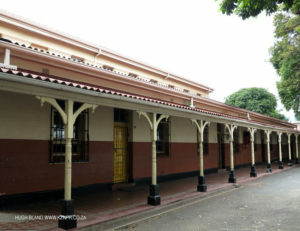 Greyville Primary – extensive use of verandas.